Kit Pollard recently listed the top 20 images in Houzz's extensive and I mean extensive collection of photos. 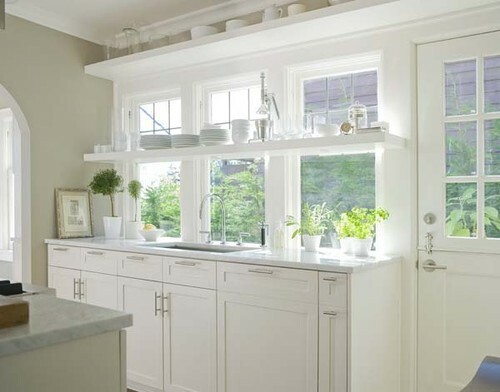 If you're not familiar with Houzz, please head over there and familiarize yourself. Anyhow, I won't show all 20 of them, just some highlights. What do you guys think of these rooms and Houzz in general? Here's what I think. The eclectic bedroom gives me a headache and the eclectic kitchen is going to give me cavities. I mean, I get it. You're at the beach. But the old screen door as a pantry door? Isn't that a bit forced? But I have to say, the fifth image, what they're calling a traditional dining room, makes me weak in the knees. Houzz is an interesting site and I like to go through the comments people leave after each idea book. I think I get some insights into how people really think that I wouldn't get otherwise. There seems to be something for everybody there too and that's a good thing. I dislike as much of the stuff I see there as I like but I think that's the whole point of Houzz. But back to my original question. What do you guys think? Hi Paul, true to form I always find your commentary informative, interesting and all with a bit of humor. I personally love the Houzz site. I not only contribute to it, but I enjoy seeing the photos of different professionals and homeowner's alike who share their 'stuff'. For me it is a very enjoyable way to learn what different folks are doing across the country; whether it be traditional, transitional, contemporary or quirky. Way to go Houzz, I commend them for a terrific public medium. I am with you all the way Robin, I can't applaud them enough for being there. I think Houzz is a great tool. As someone who is not a design professional it gives me access to so many more pictures and ideas than I would ever have access to otherwise. It has made me aware of a level of detail that I otherwise wouldn't have been aware of. I'm with you by the way on the "eclectic" designs. The beachy looking bedroom would be OK if its at the beach. And that dining room is gorgeous- although hopeless for my life! Designers like to poo poo it but I'm glad it's there. 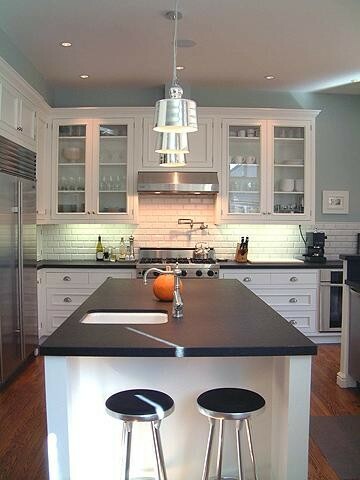 I love Houzz and I love several of the pictures above. I always find the captions interesting as I find they often highlight areas of the room that I think are underwhelming. E.g. the "traditional kitchen" above I believe has a caption is all about the island. 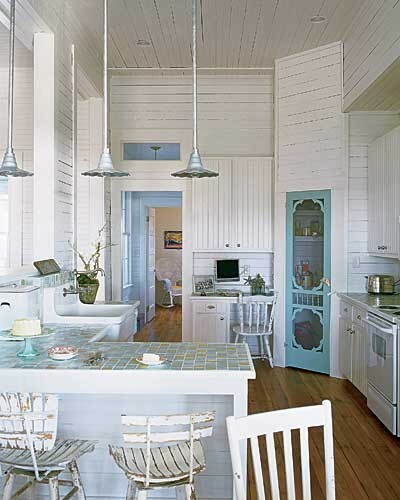 The island is pretty, and spot-on for the space, but certainly not the compelling element in the picture. I've been reading Houzz for awhile and quite honestly, I was like "oh no not these same pictures again." Whenever they do something like "what houzz readers like!" or "best trends on houzz!" or similar -- these same photos turn up. Of course I guess that makes sense, because they are the superlative photos on houzz. As a longer term user of Houzz, I'd like to see the top 20 NEW photos from the last year, or something like that. 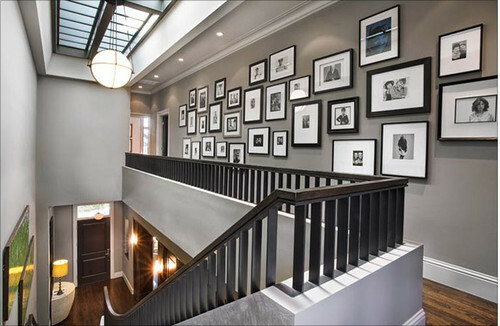 I love love love the gray gallery photo that is #1 (especially because my house neutral is SW amazing gray), but I must have seen it in a list or an ideabook at LEAST 20 times by now. Or writing for Houzz, they're always looking for contributors. I understand that this is how 90% of America decorates, so it's good they have a place to pat each other on the back. I think in all of my searches on that site, I've found maybe two photos I've re-posted on La Lamp Shade. Raina: I don't find a whole lot that's usable there either. With the exception of the Bosworth Hoedamacher project in Portland I keep coming back to. However, I use it to turn clients loose in. Most people don't have the vocabulary to describe to me what they like and by compiling a pile of images from Houzz I can interpret what they're trying to tell me and then do everything correctly based on the stuff they find on Houzz. I much prefer that they get ideas there than from HGTV. I find Houzz both useful and annoying. Because I speak Aussie dialect, the folksonomy is painful eg we have wardrobes for clothing and cupboards for everything else, and some of our building terms (soffit, pelmet) mean different things in North America -- I wade through a lot of irrelevant stuff to get what I want. Secondly, a lot of the photos are not *real*: they're styled, or they're from houses of the rich & famous. Just not useful for an ordinary life with no servants to dust the Rembrandts! And there's too little information about finishes etc. The style range (as Raina noted) is a bit limited: American women wear more makeup than Aussies and your houses are the same. I'd be astonished if any of the pics I like appear in that Top 20 list. The BIG plus is that I love having access to so many different photos. I'm like Paul's clients, using them as vocabulary to describe what I want. I headed on over and quickly browsed under the title of Bathrooms. Honestly, the ones that impressed me the most were those that had an unexpected architectural feature. As far as the site itself goes, I imagine it is probably one of the best resources on the internet for browsing since it appears to offer a smorgsborg of design elements with just one click of a mouse. Another layperson look- its not the rooms as entire rooms that are helpful. Its being able to quickly look through a bunch of things and begin to think "like that", "hate that" when its something you don't think about every day. It helps when the contractor says something like, "lots of people are putting in pot fillers" and you can say, "Yep, noticed that too. No thanks." Exactly! The benefit to it is that it shows parts of what I talk about every day and I can use it as an example of something like a pot filler. Chookie: You get all kinds of extra credit for using the term folksonomy. I'd love to put together a glossary of Australian versus North American terms for house parts. Hilarity would ensue no doubt. Okay, as much as I agree with most everything that goes on here I just have to stand up for the poor POT FILLERr. I do realize that in a lot of kitchens it is a waste, just a trend that some clients want because they see it the latest magazine.......But the poor Pot Filler is getting a lot of bashing here. I put one in my own kitchen and LOVE it. Of course I use my kitchen to cook in, not to heat food in. In fact our whole family gathers in the kitchen to cook. When making soup, it beats lugging a large pot to the sink when the water has boiled down from cooking something all day and needs a little liquid added back to it. Do I need it. No. Is it a little luxury that I have earned and love to use, Yes. Sometime those luxuries are the best kind. Hey wait a minute. This is one instance where I didn't hate on pot fillers. Though I have to say that's not exactly typical. At the end of the day anybody can put anything in her kitchen she wants. Even pot fillers. Even oil rubbed bronze appliances and even chalk board paint. I'm just some schmoe with a big mouth. Sorry, just felt an urge to stand up for the lowly pot filler. I do happen to agree on the issue that half the people that put them in never use them. They just see the latest trend and they want it. In fact the most expensive kitchen I ever did had all the bells and whistles including a $35,000 Le Cornue range and the woman didn't even cook. She had another small cook top in the island so she didn't have to get the Le Cornue dirty. I hear you. Anything "contrived" starts looking like just that. I have long been a fan of the clean lines of architect Bosworth Hoedemaker. All about proportion, scale and...restraint.